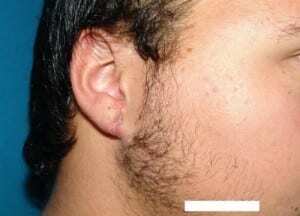 What Is Earlobe Repair Surgery? Women and men wear ear jewelry to enhance their looks. Rings, posts, and other objects have adorned ears since ancient times. Various parts are pierced to hold these items in place. 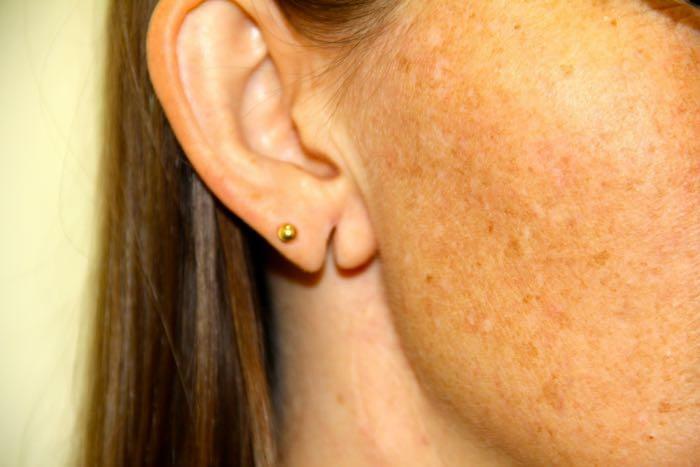 However, the effect of weight, gravity and trauma can pull through tissue, resulting in a split ear lobe. This defect is usually very visible and hard to cover with hair or clothing. 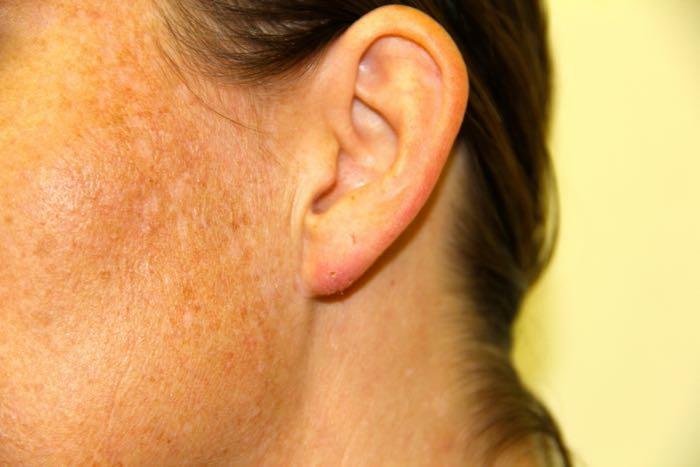 With earlobe repair, Dr. Jaibaji provides a solution to these problems. 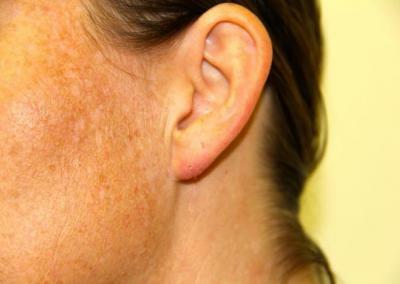 Surgery provides smooth, unbroken surfaces on the front and back of the ear, with minimally visible incision lines. You may choose to reconstruct the piercing hole in the ear at the time of surgery, or have it re-pierced at a later date. The tiny wires that hold jewelry can tear through the tissue when sharply yanked or with enough pressure slowly over time. Larger loops and bigger items are more easily snagged. Small posts are less likely targets but can still cause damage. Large or heavy items will gradually elongate the hole and eventually will tear through the lobe. Larger masses have more momentum and damage more easily occurs during activity. If you cannot live without your heavy jewelry, be careful about quick movements. Lighter smaller adornments are safer. During earlobe repair, Dr. Jaibaji will remove any skin lining the split to create a raw edge, and will then stitch the ear back together. A z-plasty or flap procedure may be required to close the tear to allow for adequate strength for another earring. 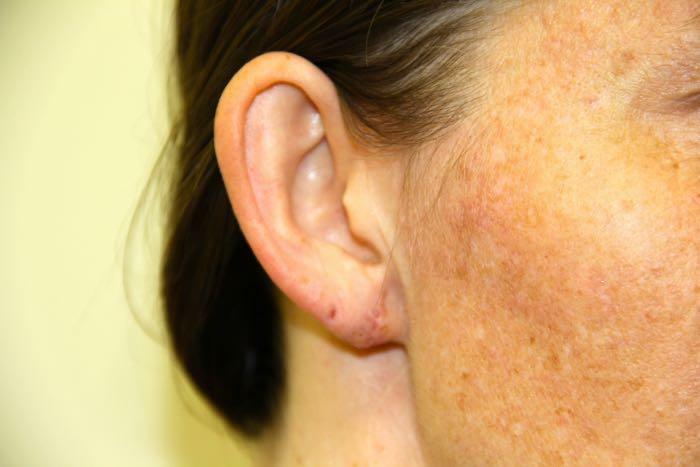 Earlobe repair is an office procedure performed under a local anesthetic, so you’ll be able to return home the same day. You will need to wash your wound with soap and water 2-3 times a day. A thin layer of antibiotic ointment is applied twice a day. You may wash your hair the day after surgery. Expect some drainage from the repair site. Sutures are usually removed after 5-7 days. The patients can start massaging their scar with cocoa butter 15 minutes a day starting two weeks after surgery. The massaging seems to soften the scar over time. 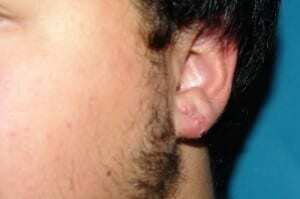 If a suture was placed to recreate the pierced ear; it will be removed after two weeks. Provided the wound has healed and there is no sensitivity, you can wear clip-on earrings two weeks after surgery. Regular earrings can be worn six weeks after surgery when the scar is stronger. However, heavy jewelry can still tear the repair and is not recommended. 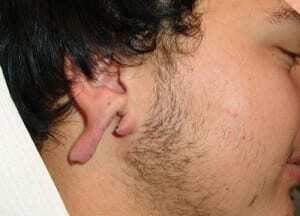 If the ear piercing hole is closed up during a split earlobe repair, the ear can usually be re-pierced after six weeks. 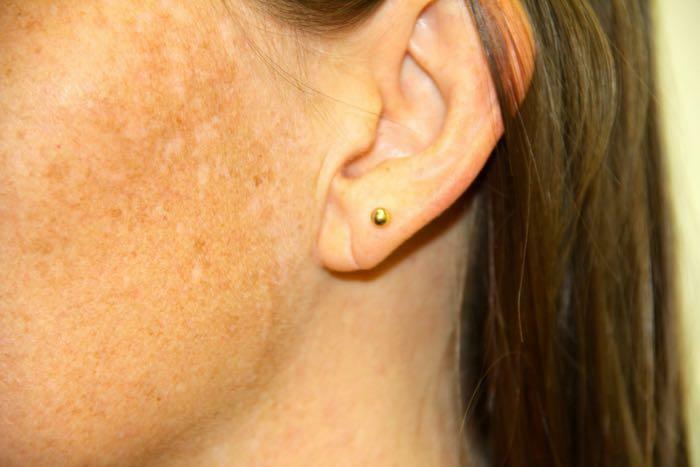 Keloid ear Keloids are overgrowths of scar tissue that follow skin injuries. Keloids may appear after such minor trauma as ear piercing. They can also occur following surgical incisions, traumatic wounds, vaccination sites, burns, chickenpox, acne, or even minor scratches. 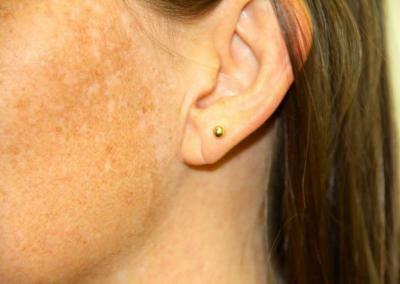 Individuals with dark complexions tend to form keloids more readily than those with lighter complexions. If you have earlobe damage or stretched piercing holes, contact our San Diego plastic surgery office to schedule a consultation. We are happy to answer any questions you may have, review earlobe repair photos, and discuss payment options.